It was Vincent Lombardi that said, "You can be as great as you want to be. If you believe in yourself and have the courage, the determination, the dedication, the competivitive drive, and if you are willing to sacrifice the little things in life and pay the price for the things that are worthwhile. It can be done." When I first heard this motivational speech, it was an elixir for an anemic who has a blood deficiency entitled, 'I Can't.' You see, it was my dream to be a writer, but I did not know the how or the way to get there. Today, I am a writer, and although I have not yet reached the pinnacle that I want to reach, the fulfillment that I get from putting words on paper that flow from my heart and my beliefs is enormous and can only be compared to how I feel when I am on stage singing. 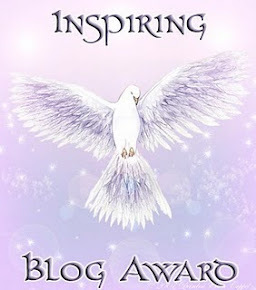 I have been nominated for the Inspiring Blog Award by Mary Ann Blickhorn and I would like to acknowledge and thank her for her loyalty as a reader of my blogs and everyone else who faithfully reads and make comments. Because of loyal readers like you, I am able to excel in something that I love deeply and has my complete devotion. I usually rise every morning between 4:30 and 5:30 AM. I prefer writing late at night or the early morning, so I usually start at 9 PM and write until one AM and from 7 AM to 4 PM. 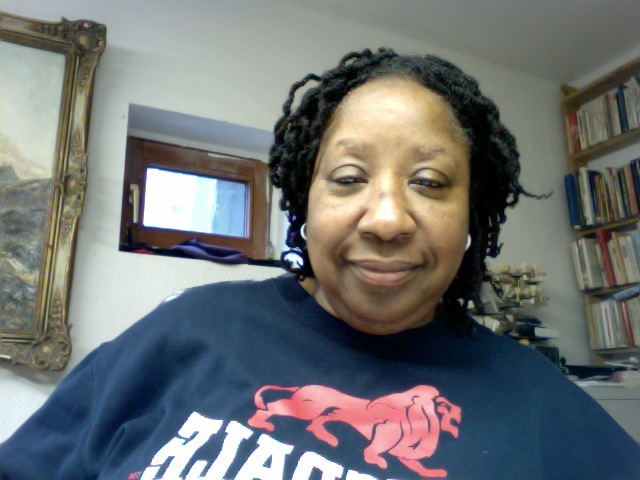 My favourite song at the moment is Yes, a Praise song by Shekinah Glory, and I listen to it especially while I am writing. I love cats and beagles. I love reading fiction and non-fiction. There are times when the brightest smile dims, the driest eyes get teary, the strength wavers, and the resilience weakens. Not because of the lack of faith that a person has, but because of the seemingly impossible circumstance or circumstances, which make life hard to bear, just as you are approaching the goal line. These are the poignant times in life you will never forget, because they signify breakthrough, and how near you are to your accomplishment––reaching the next stage on your journey. Changes take place on the journey. You say goodbye to people, places and things as you move forward. Old habits die, and new habits move in, shaping your life as they guide you forward in your direction. There are lots of goodbyes on the journey, some to people you deeply care about and some to others who have meant you ill will. Leaving them all behind, the still small voice whispers in your ear, "Don't worry! There will be others"–––reaching the next stage on your journey. I know of a lady who had no knowledge of her destiny. The honor was not planned for her, but her willingness to accept change, and take advantage of an opportunity, brought her an honor that has come down through history. Before her step into eternal remembrance the ruling judge had prophesied to the warrior who refused to accept his destiny, who refused to turn his back on the old order of things, " If I go with you, then the honor will go to another––" He never reached the next stage on his journey. Who would have thought that this lady would go down in history? Who would have thought to hear her name sung in a song of praise? Who would have thought to pick her, the unclean woman, with no great heritage? In a bowl fit for nobles, she brought him curdled milk. He fell; there, he lay. Where he sank, there he fell––dead1. Jael, the tent-dweller, accepted the destiny that belonged to another and moved into a place of honor––reaching the next stage on her journey. So is it with me, so is it with you. The smile dims, the eyes get teary, the strength wavers, and the resilience weakens. The battle is hard fought, and the bruises are many. Yet the grace that is given us through our faith in the LORD Jesus Christ should spur us on just like Jael–––to reach the next stage of our journey.